Because a lot of Australian scripted television isn’t really made for audiences, a lot of scripted Australian television isn’t really the kind of thing people actually watch. Put another way, there’s basically two kind of scripted Australian television. The first is the kind of thing that we get on the commercial networks, which is the kind of thing you can have on in the background while you do something more interesting because the whole idea there is to make something just distinctive enough that you’ll watch it while not being so distinctive that it’ll make anyone change the channel. This is the approach that gets us shows like Doctor Doctor, which is probably a good thing because when they try harder we get something like Bite Club. The second is the kind we get on the ABC, which… well, to give you some idea of what they’re about, it seems the producers of Sea Change recently contacted the ABC about reviving the series. 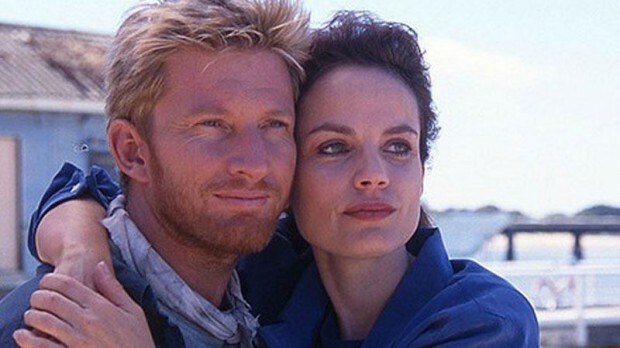 You remember Sea Change: a massive hit that basically set the course for popular Australian drama to this day (Doctor Doctor being the latest in a long line of covert remakes of it). The ABC said it didn’t fit their current demands; it’s now coming to Channel Nine in 2019. And what does fit the ABC’s demands? If anyone’s watching the current series Pine Gap, they could probably tell you, but from a distance it looks a lot like the ABC is all about making the kind of serious drama that the producers can boast about at dinner parties but nobody actually wants to watch because they’re designed to be “quality” rather than “entertaining”. Which would be fine, except that now our viewing choices are either extremely bland pap or dull quality drama that occasionally tries to be like a successful overseas show and usually fails. Anyone remember Cleverman? Of course, 90% of everything is pretty close to crap, so just as long as the ABC remembers to renew Rake they’re coming out ahead – but the thing is that even the decent Australian television is starting to get a bit long in the tooth and for whatever reason there’s not a lot of new shows coming up to replace them. Rake’s well past it’s use-by date, Mad as Hell can’t last forever and probably the best – as in, most consistently entertaining – Australian drama series at the moment is the Prisoner reboot Wentworth, but while season six is out now on DVD and blu-ray, it seems that season seven (out next year) is going to be the last. While new decent television is obviously still being made, it tends to be almost entirely short run series, which means we need more of it to keep the level of quality up. It’s easier to make one decent series that runs for five years than five decent series that each only go for a year – especially when in Australia that usually adds up to one decent series and four crap ones. But five different series means five different lots of people get to make their own TV series – and when the ABC is making television for producers rather than for audiences, that’s exactly the result they want.